Social-liberal coalitions, which do not break with the fundamental “Washington Consensus” but implement several progressive social measures. The basic principle of this sort of government is to do what is possible to improve the situation of the poor – on the condition not to touch the privileges of the rich. The left, or center-left governments of Brazil, Uruguay and Chile are the most obvious examples. Anti-oligarchic, anti-neoliberal and anti-imperialist governments, who set as their historical horizon “Socialism of the 21st Century.” Venezuela, Bolivia and Ecuador belong to this category. Other leftist governments, in Paraguay, Nicaragua, El Salvador or Argentina, seem to be somewhere in between, or on the margins, of these two types. Substantial gains were made by the popular layers in most of these countries, thanks to the social redistribution of the rent, particularly from oil and gas extraction (Venezuela and Bolivia). But none of these governments effectively confronted the basic structures of the capitalist system, and no real attempt was made toward a transition to socialism. So far, socialist Cuba with all its shortcomings remains the only such experience. 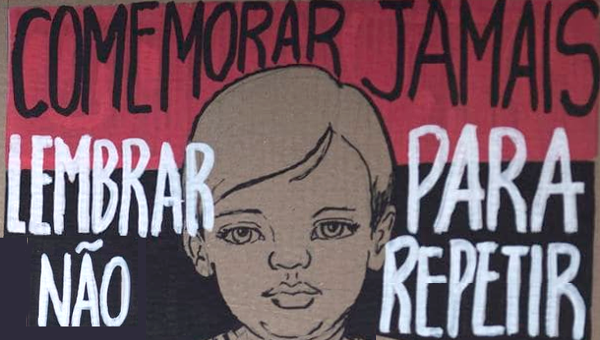 There were also no attempts to move beyond dependency on fossil fuels, except for a short period when the government of Raphael Correa in Ecuador decided to accept the Park Yasuni Project of the ecological and indigenous movements. The proposal was to leave, in this forest area inhabited by peasant communities, the oil in the soil, but require the rich countries of the North to pay half of its value as a compensation to the Ecuadorian people. As one would expect, the rich capitalist governments were not interested, and Correa finally gave up, and opened the Yasuni Park to the oil companies. Since the beginning, there have been several attempts of the oligarchies to re-establish their traditional rule, by various sorts of coup d’état, with the blessings of U.S. Imperialism, but in most cases – Venezuela, Bolivia, Ecuador – these efforts failed, thanks to massive popular mobilization against them. However, in Honduras in 2009, the democratically elected President Manuel Zelaya who tried to implement some progressive measures was overturned by a pseudo-legal procedure of the Supreme Court, with the support of the Army. Something similar happened in Paraguay with President Lugo, who was accused in 2012 of supporting the peasant movements and was deposed by the Senate. Authoritarian, right-wing governments replaced the progressive leaders in these two countries, with diplomatic support of U.S. Imperialism. In fact, the oligarchic reaction against the leftist governments never ceased during the past 15 years, but now it has achieved some very substantial victories. In Argentina, the left Peronist experience of the Kirchner government (Nestor, and after his death his wife Christina) came recently to an end with the election of the right-wing, pro-imperialist and neoliberal candidate, Mauricio Macri. 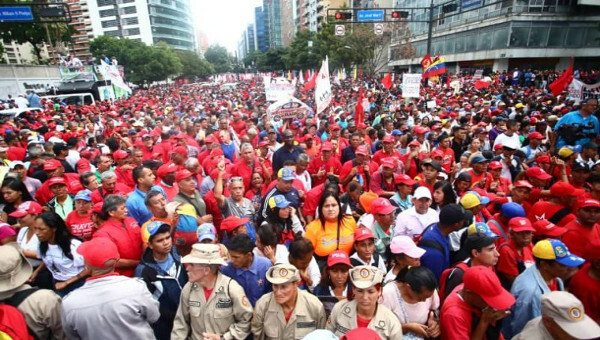 And in Venezuela, the oligarchic opposition won the parliamentary elections, thus seriously challenging the power of Hugo Chávez’s successor, Nicolas Maduro. These defeats certainly have to do with a) the difficult economic conjuncture, due to the fall in the prices of commodities and b) the limits and contradictions of the processes of change in the two countries. But they also document the capacity of the reactionary bourgeois forces to manipulate, deceive and mislead significant sectors of the population, thanks to their quasi-monopoly ownership of the mass media. The most successful Leftist government in Latin America is probably the Bolivian one of Evo Morales, the indigenous peasant leader who defeated the neoliberal oligarchic forces with massive popular support. But even here there has been disappointment with several decisions of the government, opposed by workers’ unions and indigenous movements. This probably explains why a majority refused, in a recent referendum, to grant Evo Morales the possibility of presenting himself for a third period as president – although this vote also expressed a more general rejection of excessive personal power. In the present international conjuncture following the end of the Cold War, it is not very likely to see the return of the murderous military dictatorships of the 1960s through the 1980s – in Brazil, Chile, Argentina, Uruguay – although this possibility cannot be entirely excluded. Considering the economic and political weight of Brazil in Latin America, the present confrontation in this country is decisive for the future of the continent in the next years. Dilma Roussef, the candidate of the Workers Party (PT – Partido dos Trabalhadores) won the elections against a neoliberal coalition in 2012, and was elected president, for the second time. Although she ran a (moderately) leftist campaign, as soon as elected she took a series of measures following a clear economic neoliberal agenda. In the context of economic crisis, inflation and recession, more and more concessions were made to the banks, to financial capital, and to the big landowners, whose main leader was nominated to be Minister of Agriculture. 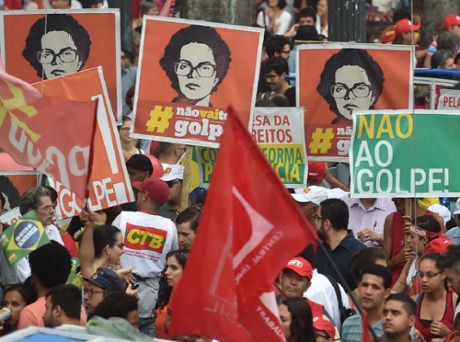 Using as a pretext the scandal of corruption connected to the state oil company Petrobras, the reactionary forces – neoliberal bourgeois parties, mass media, conservative magistrates – began a violent campaign for the impeachment of Dilma Roussef, with significant support among the middle classes. Some of the more reactionary speakers have been calling the military to seize power again! Dilma Roussef is in fact one of the few political leaders not involved in the scandal: the pseudo-legal motive for the impeachment was some irregularities in the calculation of the state budget! Some payments were delayed, in order not to transgress the limits of the approved budget: a trick routinely used by most Brazilian governments. 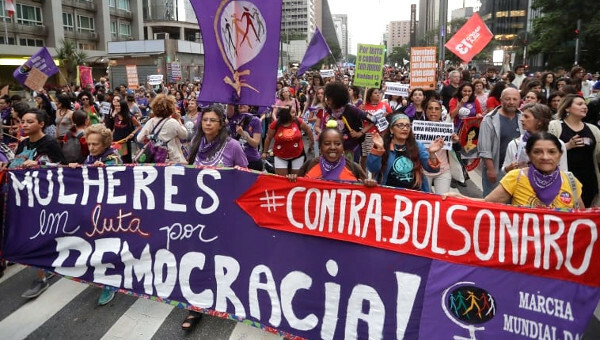 A broad coalition in defense of democracy and against the impeachment has been formed, called the Popular Front, including most progressive parties from the PT to the far left PSOL (Party of Socialism and Freedom), the unions, the peasant and other social movements. 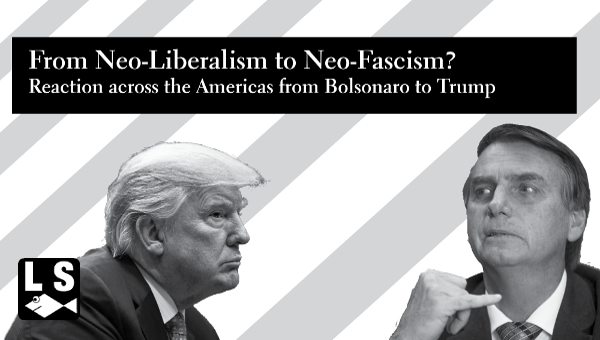 This popular coalition opposes the impeachment but also criticizes the neoliberal policies of the Dilma government, and calls for a radical change of orientation. With the recent vote (April 2016) for the impeachment of Dilma by the Brazilian Parliament, by more than two thirds, the issue is practically decided. The Senate and the Supreme Court still have to vote, but there is little hope that they will take a different course. This is clearly a “legal” coup d’etat! The whole procedure has a strong ridiculous, tragicomic flavor, since the leader of the impeachment procedure in the Parliament, Eduardo Cunha is – unlike Dilma – heavily compromised in the Petrobras scandal. This article first published by Against The Current , #183. Michael Löwy, a philosopher and sociologist of Brazilian origin, is a member of the New Anti-capitalist Party in France and of the Fourth International. He is the author of many books, including The Marxism of Che Guevara , Marxism and Liberation Theology , Fatherland or Mother Earth? and The War of Gods: Religion and Politics in Latin America . He is joint author (with Joel Kovel) of the International Ecosocialist Manifesto .